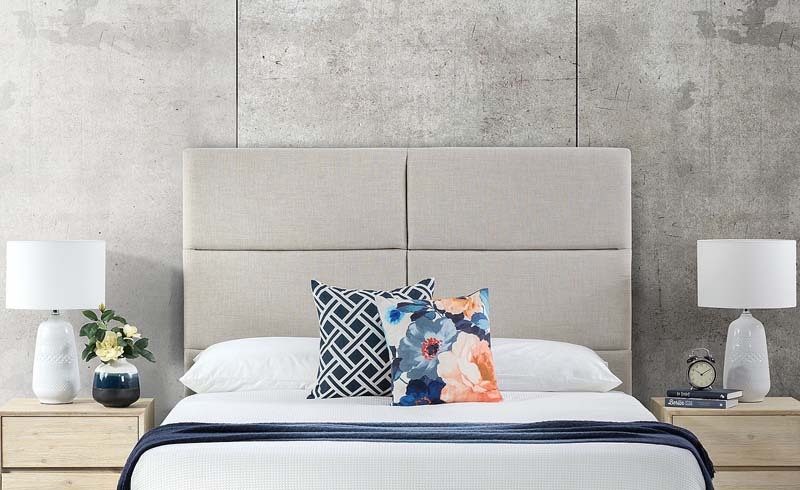 An eye-catching headboard can completely transform the look and feel of your bedroom. Which one of these unique ideas would you choose? 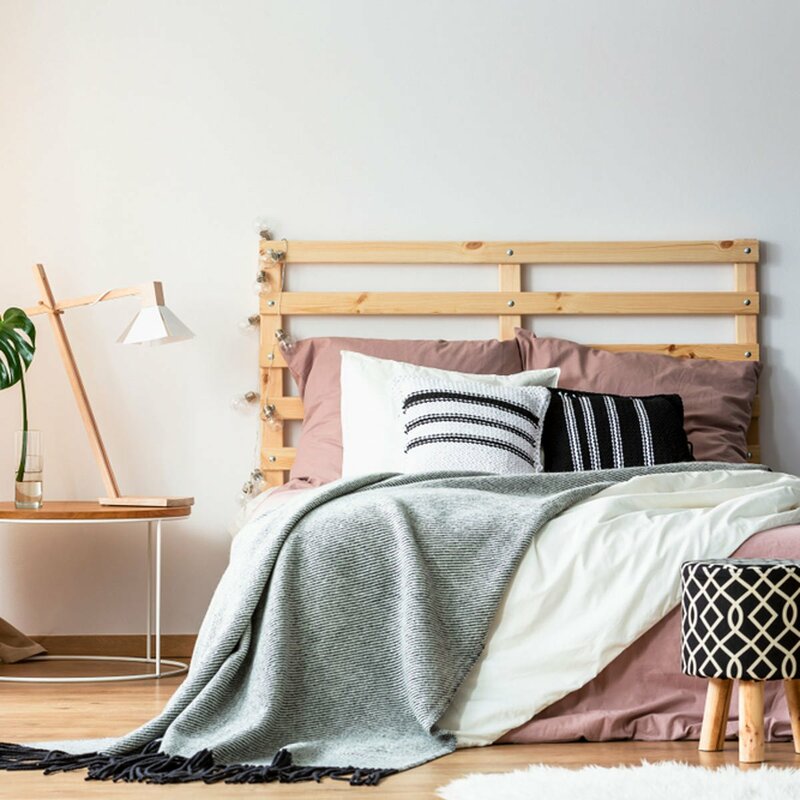 Pallet projects are still on trend, but pallet wood isn’t ideal for a headboard because you never know what it has been exposed to. 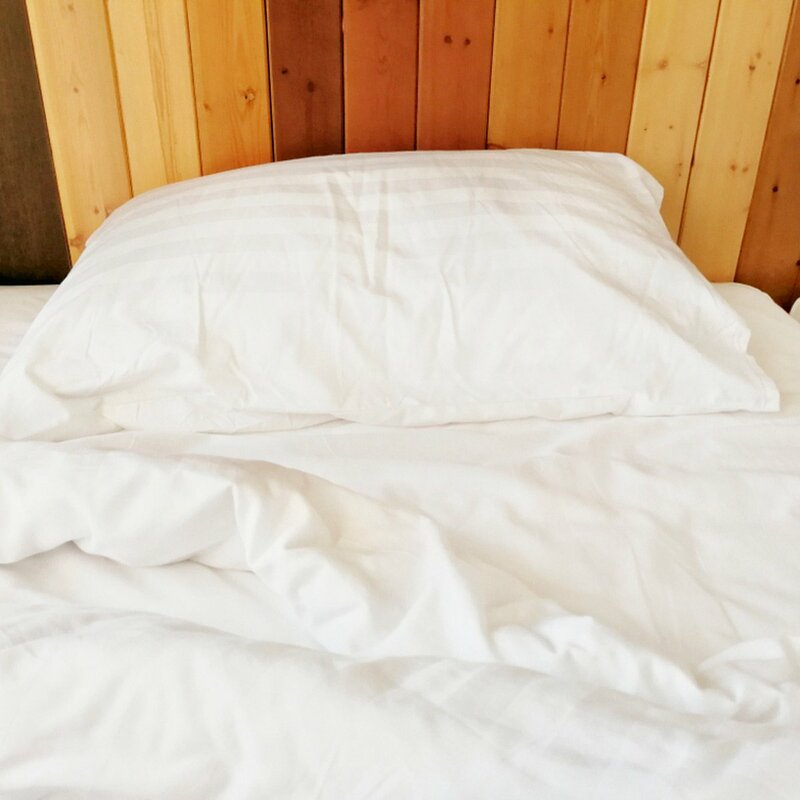 You can still get the look by building a pallet-style headboard using new wood. No need to stain or paint this headboard, as the bare wood is right in line with pallet style. A painted accent wall isn’t a new idea, but creating a 3D painted accent wall takes the concept to a whole new level. 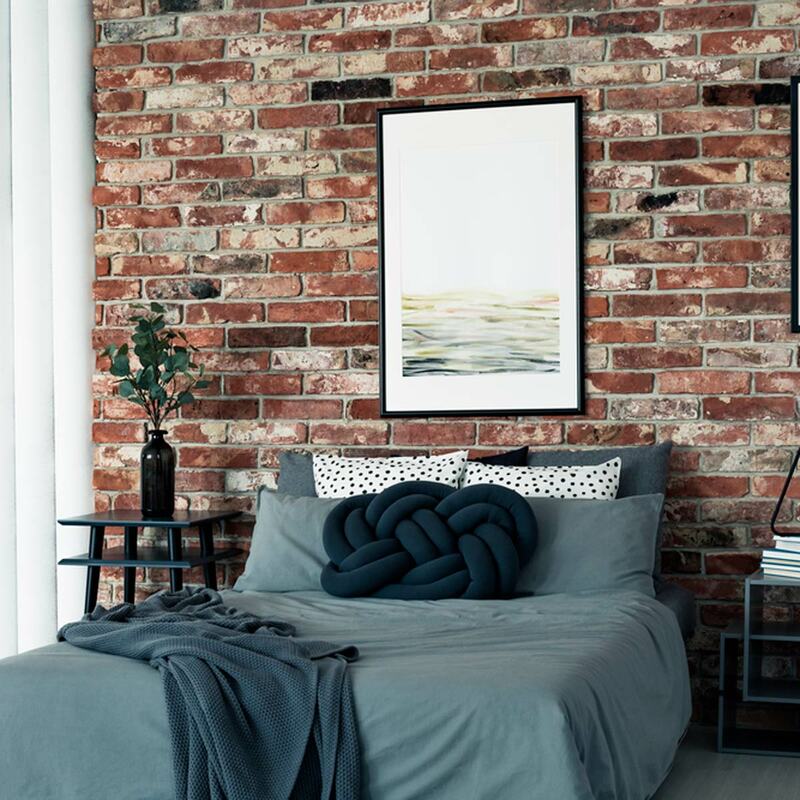 This headboard blends into the wall behind it while also creating dimension, interest and even a shelf for displaying décor. 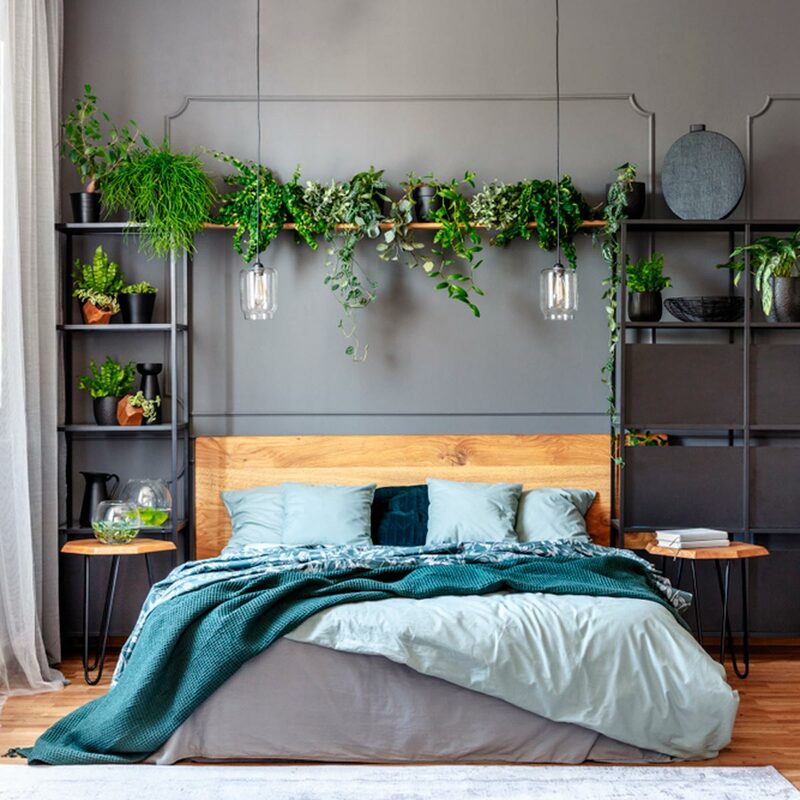 While a simple wood panel looks great as a headboard, surrounding it with open shelving creates even more of a focal point in the room. And (bonus!) it adds a lot more storage space. Style the shelves with houseplants, pottery or framed photos that you love. 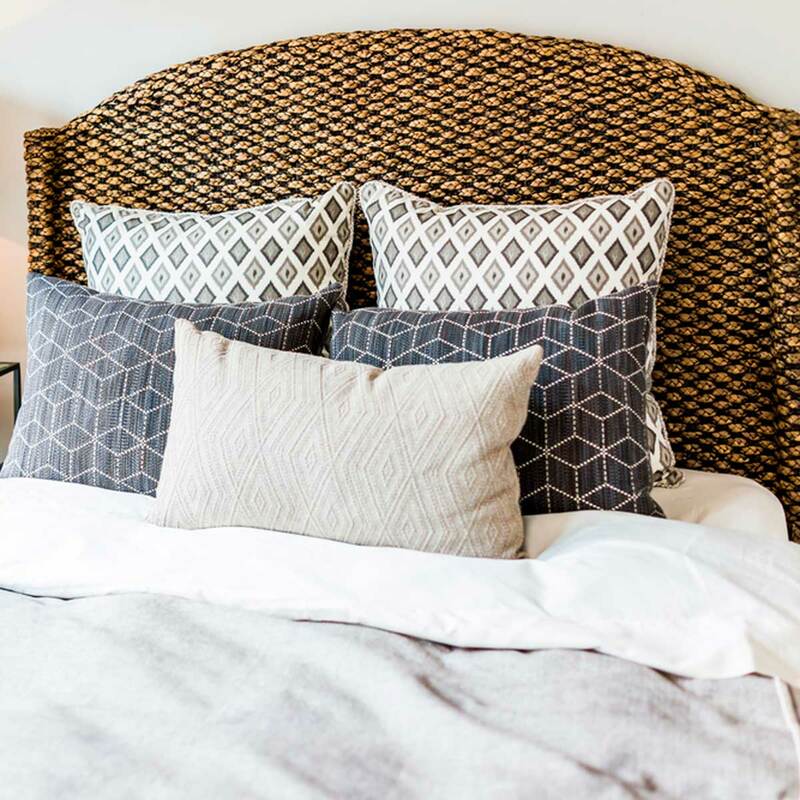 A great headboard doesn’t necessarily have to be perfectly symmetrical. This wood headboard features varying heights and unique curves, and it couldn’t be easier to DIY. All you need is a jigsaw and some sandpaper. 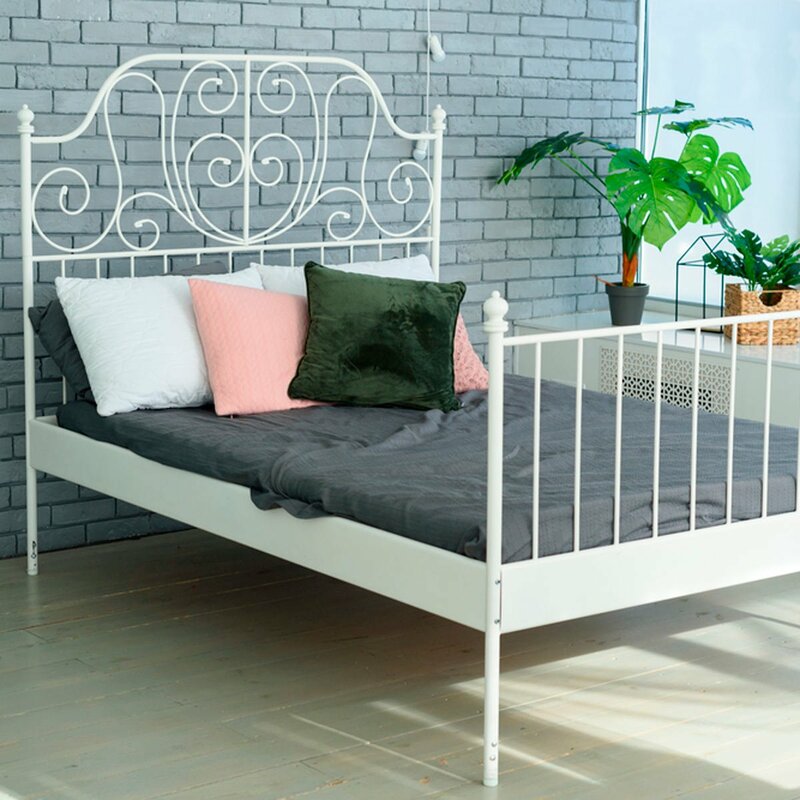 A decorative metal headboard is the perfect way to add some shabby chic charm to your bedroom. You can buy one that’s new or, better yet, find one at an estate sale or antique store for a good deal and even more character. 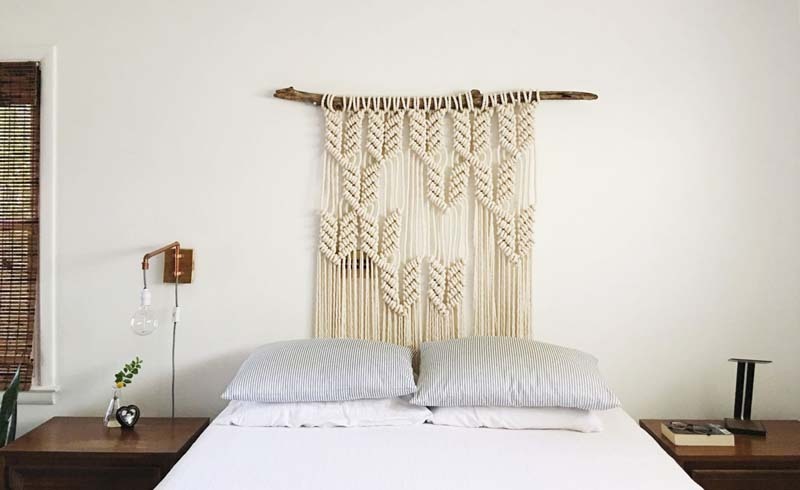 This eye-catching woven headboard creates a natural, peaceful vibe in the bedroom. Pair it with a palm houseplant to pull off a tropical style that encourages rest and relaxation. Aiming for a rustic, cabin-like feel for your sleeping space? Opt for a headboard made with warm, narrow wood planks. Varying the finish colors will add a more natural, imperfect touch—and it’s so easy to DIY! 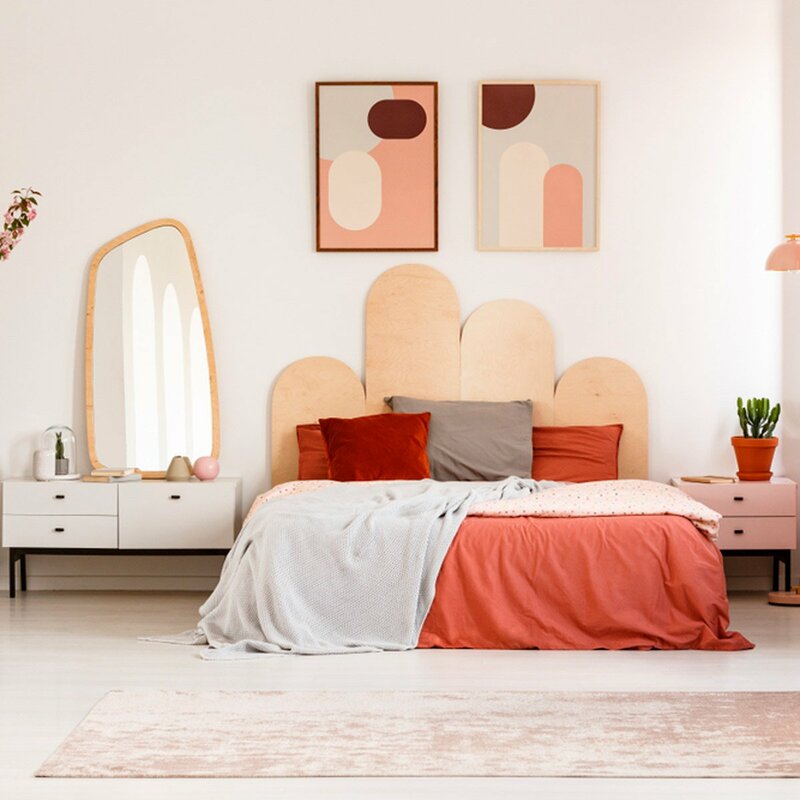 If you have a small, ho-hum headboard like the one shown here, mounting one or two large pieces of artwork behind it will create a much more dramatic statement. A large colorful canvas or favorite photograph is a great way to show off your style, too. Barn doors are all the rage right now, and turning them into a giant headboard definitely makes a trendy statement. A vertical barn door headboard helps to draw the eye up, making the ceiling seem higher, and it definitely conveys a rustic, country style. 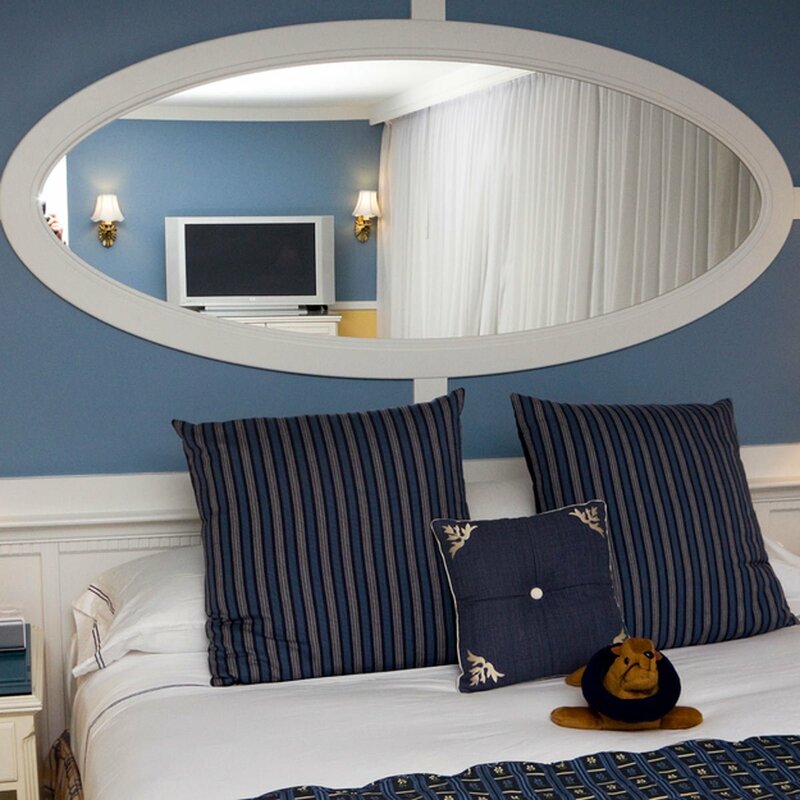 A large mirror works great as a headboard, as it draws the eye and even helps to create the illusion of more space. Any shape of mirror will do, but be sure to add a frame for a more polished, finished look.